Let’s be honest; most women like to wear mascara. And I know that a good mascara that keeps up to what its promising is very important to many women out there. 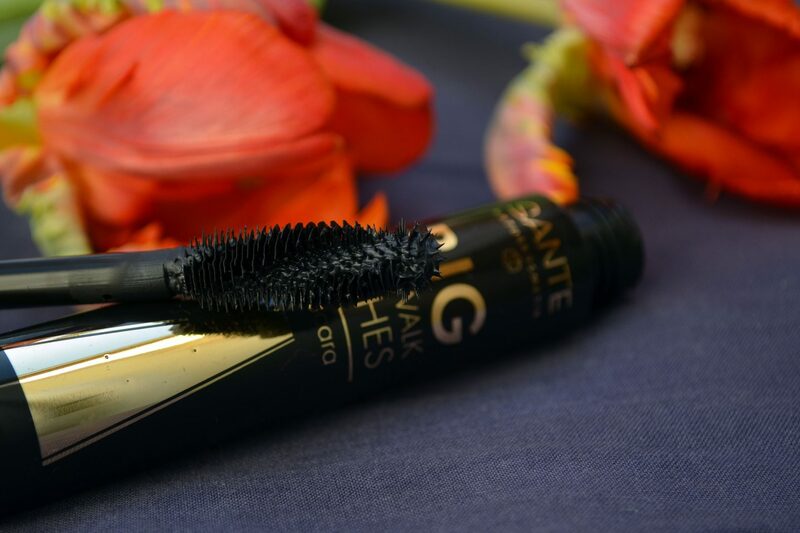 This is why I decided to write a little overview and review of a few all natural mascaras that I personally like. I have to say, however, that it seems like the same mascara works differently for different people. Depending on your expectations, your lashes, the size of your eyes etc. I read a lot of reviews during my research and I realized that many of the products that worked great for me got a few really bad comments, whereas one product that does not work for me at all (the last one) got a ton of good reviews all over the internet. 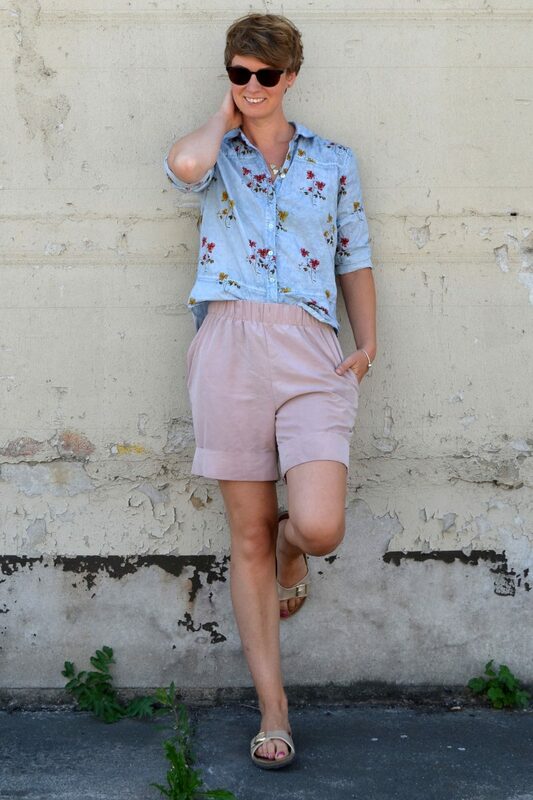 So here in this post, I only write about what I peronally like and what works for me. It may work for you as well, it may not. Now, why do I prefer using natural mascara instead of conventional one? Like most conventional cosmetics, most mascaras on the market contain unhealthy chemicals that I prefer to avoid. These are parabens (endocrine disruptors that have been linked to cancer) that you can now only find in various make up products but also in most conventional creams and lotions. Aluminum powder which actually is a neurotoxin that is considered to be far worse than mercury! Propylene glycol and BHA and BHT (endocrine disruptors that have been linked to cancer). It’s just nothing I want to have close to my eyes or on my skin (which is absorbing it all straight into the blood stream). The good news is that natural mascaras got soooo much better over the past few years! So there is actually not really a need any longer to coat your lashes in chemicals. Lucky us! For the little review here I tried brands that you can find almost everywhere in organic shops all over Germany and in most European countries. Most of the brands are rather “low price”. I also included two products that are from a little “fancier” brands which mainly means that they are more expensive and I will let you know if I think it is worth spending more than 15€ on a natural mascara. This one was actually a real surprise to me. I am usually not a fan of small hard brushes (I prefer the big soft ones) but this mascara worked really really great. I always use two coats (with all mascaras in review) and the result is much stronger and denser lashes. A friend of mine told me that this is the one natural mascara that she ever used that made her get rid of her conventional one. No other natural mascara convinced her, until she tried this one here. I read on instagram that someone wasn’t able to use this product for more than two months though (it went hard and starting crumbling). Unfortuntly I cannot say anything about the long time effect yet, since I am only using it since a few weeks. So I just wrote above that I like big soft brushes, however, this one here is reeeeeally big. It’s almost a little too big for my small eyes. 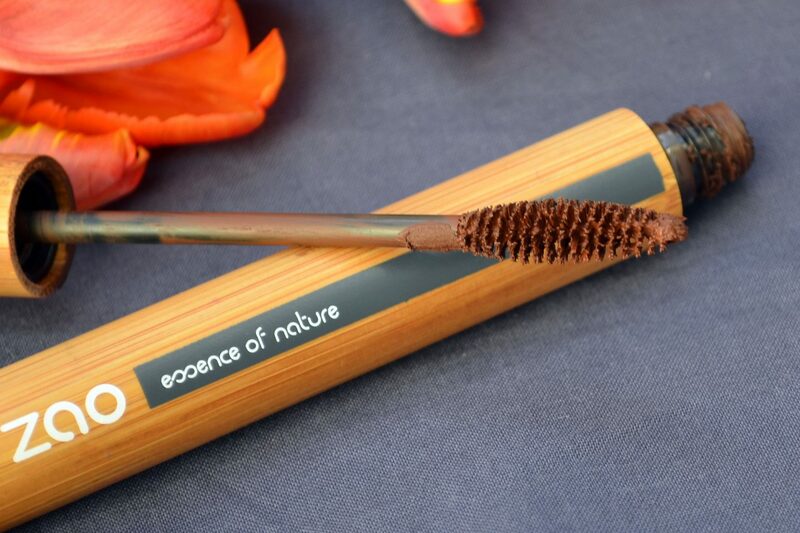 You will get plenty of product on the brush and on your lashes – which can be great! But it can also be too much when having small eyes and short lashes. 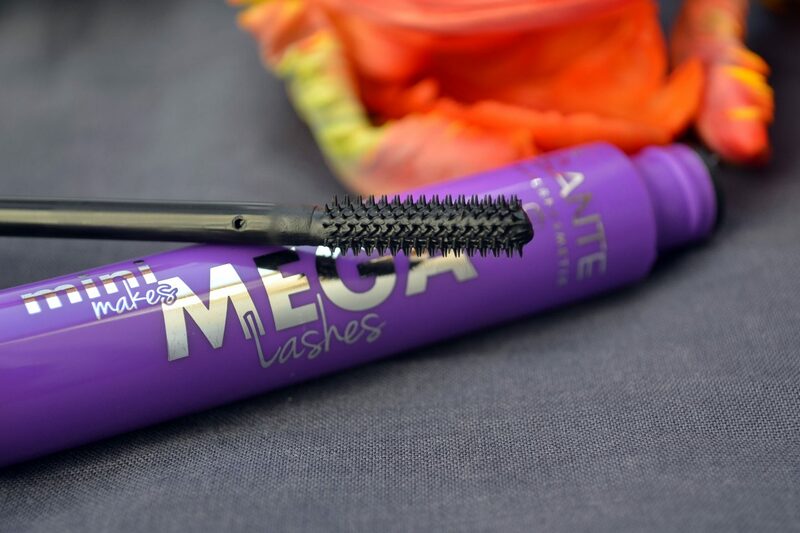 It really is a great choice for eveyone with large eyes and long lashes and for when you really want to create a catwalk look with loads of mascara (which I rarely ever do but when I do then I am very happy having this mascara). By the way, both this one and the above one lasts really long and well. I apply them in the morning and they last until night, easily even longer. 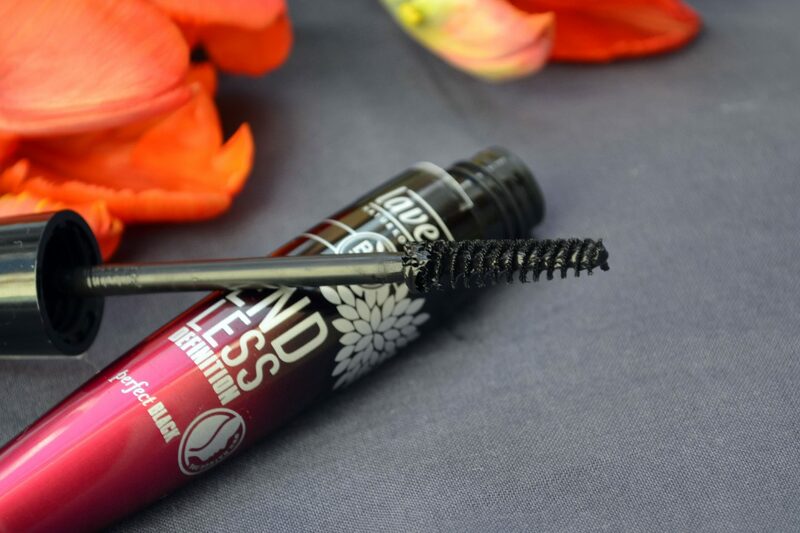 Quite in contrast to the previous one, this mascara has a really small brush – which may be too small for some people. I find it nice to use, as I can apply the product exactly where I want. Also, the product stays on the lashes, where it belongs, instead of the eyelid (which happens to me a lot with many prodcuts). With this mascara I need three coats to get a good result but then I am really happy with it. This is one if great for everyone with smaller eyes and for those you like a precise application. 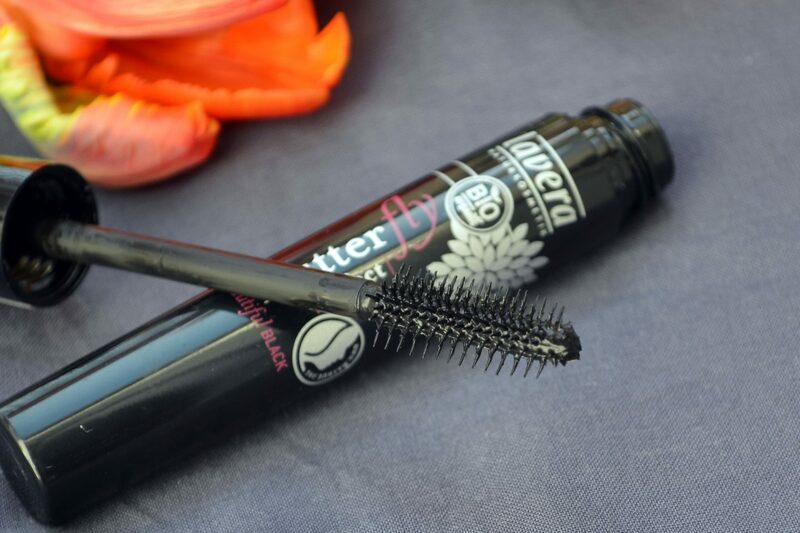 I tried several mascaras from lavera and this one here and the one below are my favorites. When I did my research I found quite a few negative comments about this mascara. However, it works really really well for me. I can apply it easily and it is long lasting (from morning to late evening). Also, it gives my lashes much more volume than most products do. I actually use this mascara since a long time (over a year now) and am still really happy with it. Some might not like the hard brush, it was a thing for me to get used to it but when I was then I started liking it. Depends on what you prefer, I guess!? I love this brush. This, for me, is the perfect brush. It’s soft and has the right size for both small and large eyes and it’s easy to apply. You may need a little more of the product than what you are used too but then you can get great results that lasts you all day (not all day plus the night though). 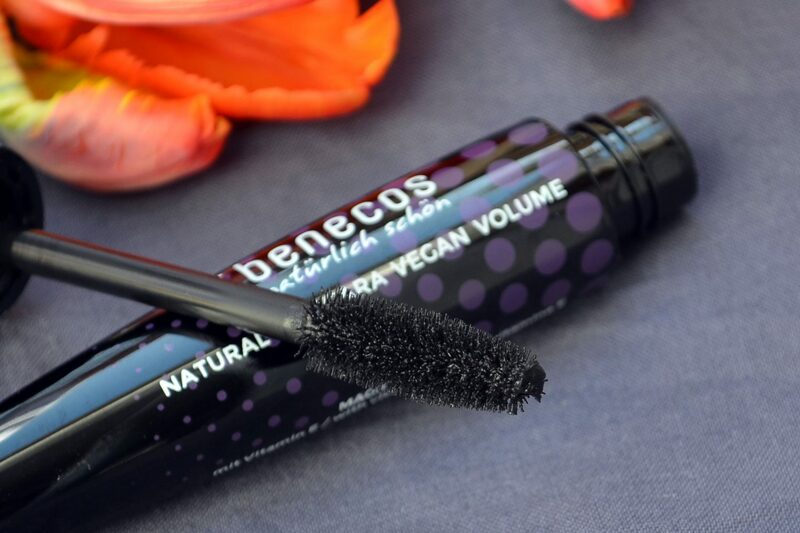 I think this is pretty much the perfect everyday mascara, as it is not complicated to apply and gives just the right volume and color (not too little and not too much either). What? That much money compared to the others? Yes, this macara is more expensive. However, here is what I find: from all natural cosmetics products that I tried so far there is a tendency that you will need a lot LESS product from those products that are more expensive (there are exceptions as you will see below!). So the above mascaras are all great and they are great for starting off with natural cosmetics or when wanting to try something new. 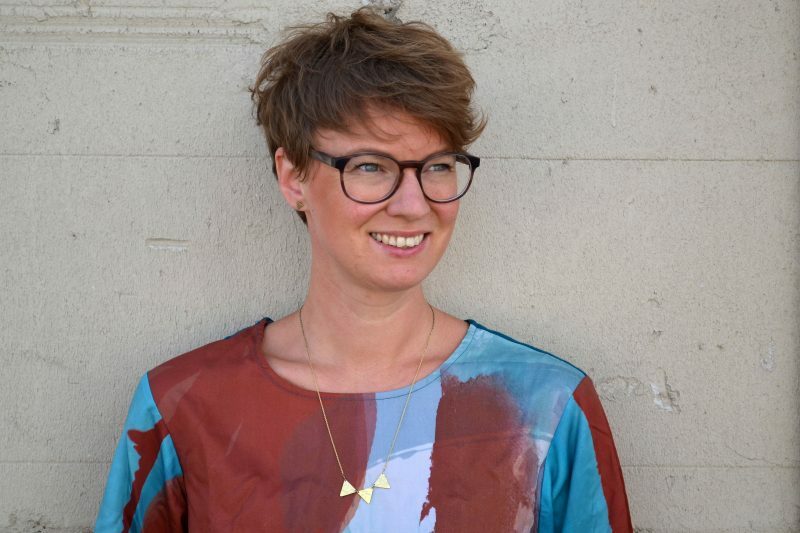 However, when you are looking for a product that you will be able to use for a really long time and that you only need a little bit of, then I think it is worth spending some extra money. This mascara here gives great results with only one coat. And I think this is great! When a product is lasting longer then you need to buy less and hence, you produce less waste and use less resources which again is more sustainable. However, I know that many, including myself, like to treat themselves with a new beauty product, such as a mascara every now and then, and this is why I thought it could be nice for you to see a few “cheaper” mascaras too. I really like and use them too, otherwise I would not have included them here. Also, I read that many people use their mascaras for around three months, because of bacteria. This does not apply to me but I think for onyl three months, I wouldn’t want to spend tooooooo much money. I don’t know though… how about you? By the way, whis one of my personal favorite. Oh, and it’s a limited edition, actually. And yes, this one is the most expensive of all of them – and it’s actually the only dark brown one that I had for review. Oh, and I do not like it. So, no, not all expensive products are great. I don’t know what it is but this one isn’t giving enough product to the lashes and when I apply a ton (to get an effect), my eyes sometimes start burning. Since I need a lot of product it gets even more expensive (since I would have to rebuy soon) and I don’t think it’s worth it. Even though I love the packaging I just do not think that it is worth spending 20€ on a product that doesn’t work for me. 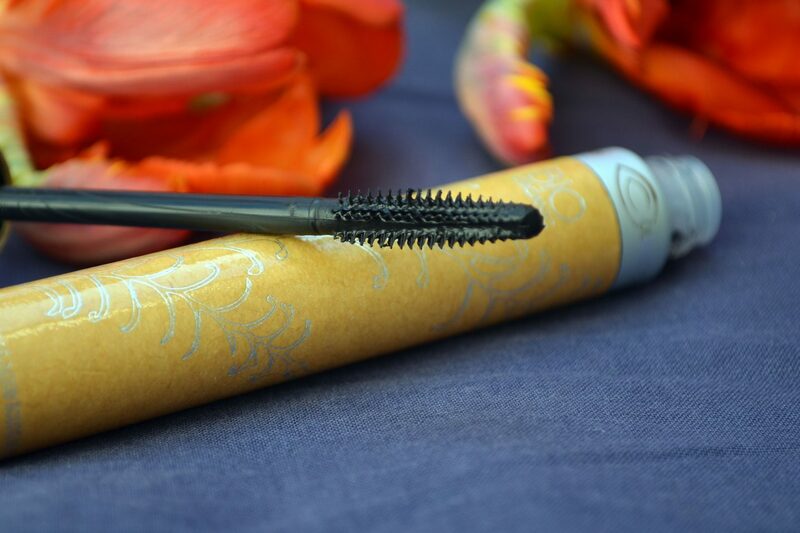 Have you tried ZAO mascara yet? This is a great review! The second and third options sound really nice, I will have to give them a try! Generell schaue ich eh schon einige Zeit auf die Inhaltsstoffe usw. Zwar brauche ich meine alten Sachen halt jetzt auch noch auf, aber bei Neuanschaffungen lege ich schon viel wert darauf. Can you tell me which mascara was the most eco friendly? Is there one that has a compostable or recyclable tube?